North Dakota's Largest Fireworks dealer with the Largest Selection and Lowest Prices! Home of the Memory and Dakota Series!!! 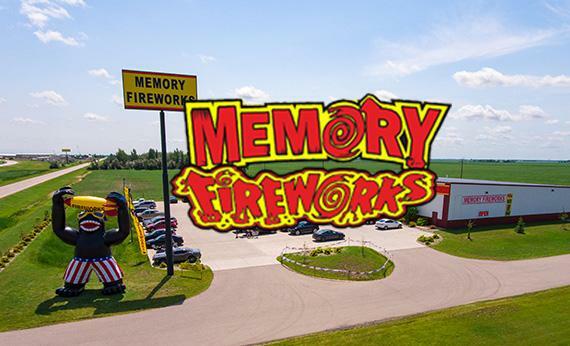 Memory Fireworks has the very BEST and LARGEST selection! We go straight to the source, in China, to get the very best every year. We have highly qualifed staff at all our locations that will be able to build you the best show for any budget. Just ask anyone in one of the yellow shirts and they will take great care of you!